The content for each lesson will be adapted to the particular needs and dance level of the participants (beginners, intermediate and advanced level). Contents: Basic steps and variations, coordination, style, corporate movements, salsa figures and choreographic sequences. Dances: #Salsa, #Son, Rumba, #Mambo, #Cha-cha-cha, #CubanAfro. Also #Reggaeton, #Salsaton, #Kizomba, #Bachata and more! Term: A minimum of 1-hour lesson. Maximum of 3-hour lesson per session. The fast-pace course for beginners is ideal for individuals wanting to learn salsa hastily. The contents include the teaching of salsa´s basic concepts, the learning and combination of basic forms. 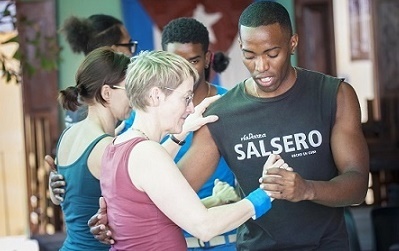 Information is supplied on salsa´s night-parties weekly schedule, in order for students to practice the skills learned in class. The intensive salsa course for intermediate level is ideal for students to develop and improve their dancing skills; thus achieving significant progress in a fast and sustainable way. The teaching and learning speed are individually suited to the students´ level. 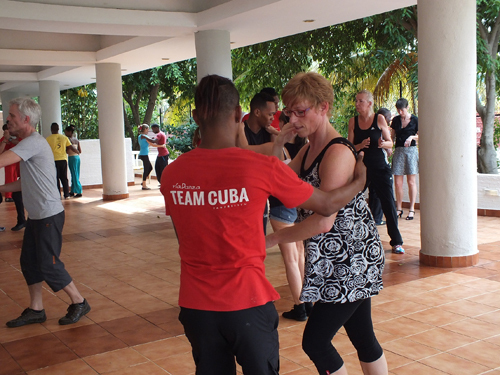 It is recommended that students participate in Havana´s salsa parties so that they can practice the skills learned in class. Information is provided on salsa parties’ weekly schedules, and venues. This course is ideal for students who can already dance to salsa music, but who also want to make significant progress in terms of style, expression, and music interpretation. Students get deep into dancing techniques, specifically for the most advanced levels. 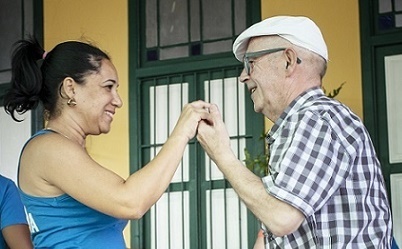 Dance and rhythm classes are suited to the students´ level, and they include free steps, advanced salsa figures, basics of rumba and son, and their usage in salsa dancing, the understanding and interpretation of salsa music and advanced techniques to lead the dance. Reggaeton and Salsaton currently get very much influenced by salsa, especially in Cuba, and mainly in Havana. They are very popular ways of dancing among youngsters, because they are influenced by hip-hip and rap. They are not danced in couple, but they include very sophisticated steps and sensual and flirtatious movements that can be integrated as an important element of salsa style. This course focuses on salsa´s African roots, and body expressions of Afro Cuban dancing movements. It does not include salsa dancing particular techniques. It teaches the Afro Cuban elements used in salsa dancing as a free style – especially for body expression. 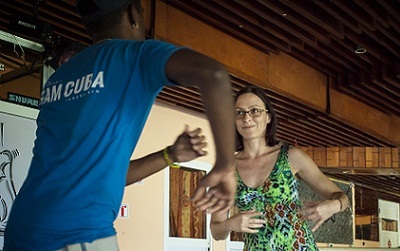 The course includes three modules: Yoruba; Congo-Abakuá, and Cuban Rumba. This course is designed to significantly improve the dancing style. It is focused on developing and improving the students´ expression and technique. 1. Cha-cha-cha, mambo, mozambique, pilón, conga. 2. Cuban son, and suburban son. 3. Rumba compound (Columbia, Yambú, and Guaguancó).